This is not a safe queen. This weapon demands to be used. The ALL-NEW RD-9 sets the new standard in the sub-gun category with it's in-field adaptability, compact design and unmatched reliability. 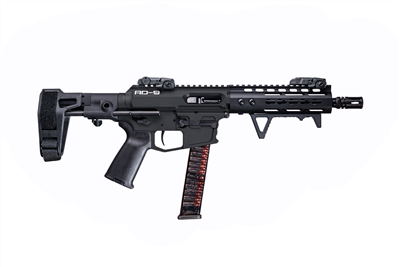 The ALL-NEW RD-10 sets the new standard in the sub-gun category with it's in-field adaptability, compact design and unmatched reliability in a 10mm package.